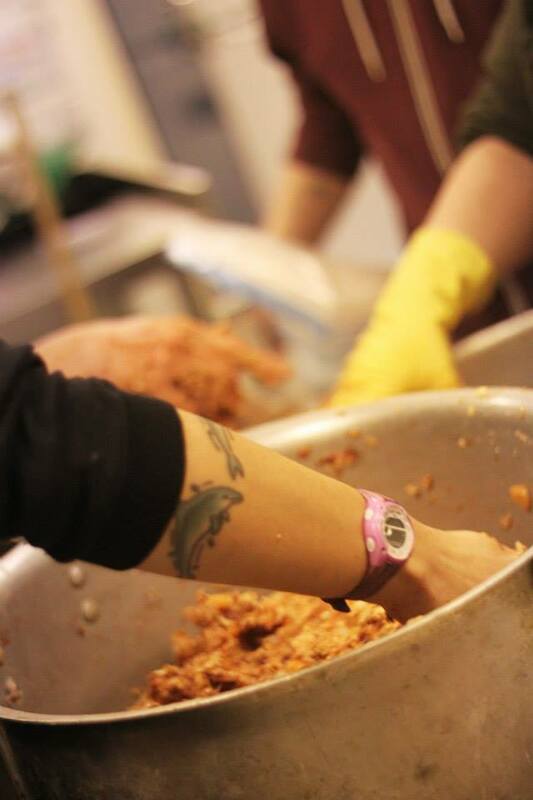 This site may not have been updated for some time but we’re still active and serving hot vegan meals to everyone every Friday from 12.30pm at the back of Cardiff central market (the exit closest to the Hayes). 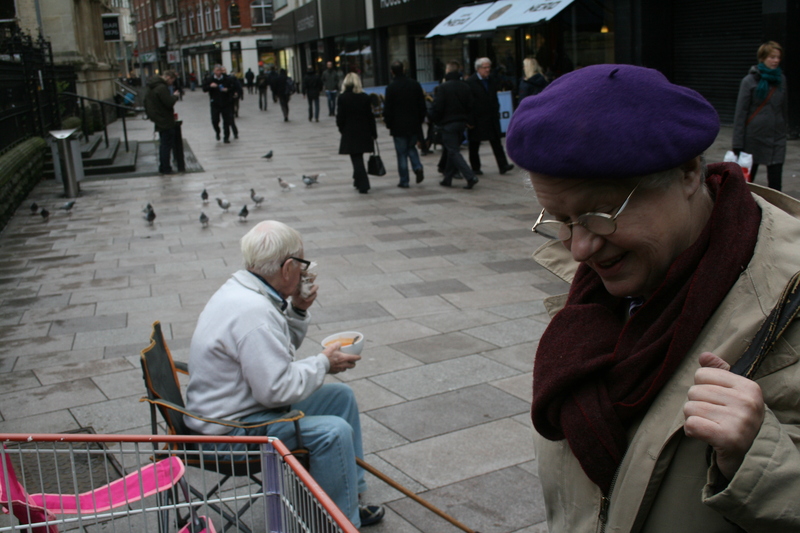 We are approaching the 6th anniversary of the weekly Cardiff serve. Please do come along for some lovely grub, and if you can help volunteer even better! Get in touch or come and say hi to us at the serve. We are looking for people who can do the cook and the serve, but there are loads of other things to do such as designing flyers, making banners and decorations and lots more. We do not have a ‘leader’ and we use consensus decision making processes to get things done. Last week we moved into our new kitchen at the Wyndham Diner in Riverside, and are so excited to have such a great kitchen available to use! 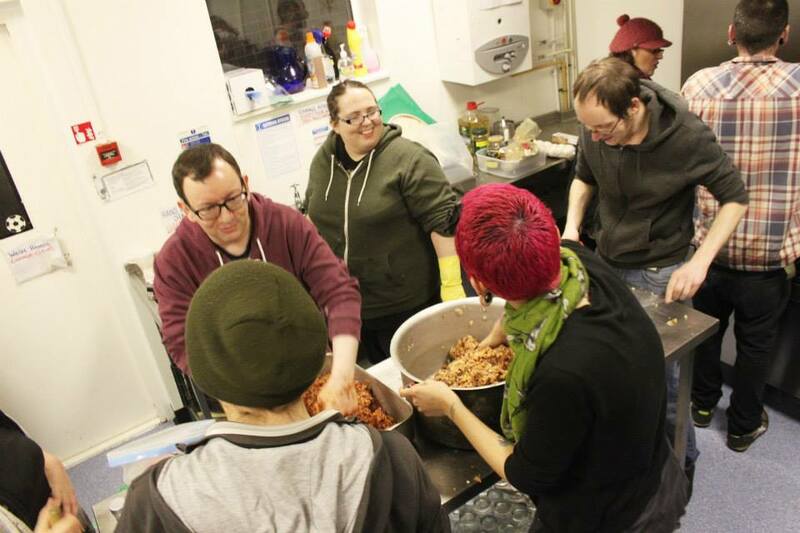 Although our previous kitchen The Huggard were very accommodating and wonderful to us, due to opening times and the amount of volunteers we have, we decided we had to find a more suitable venue! MASSIVE thank you to The Huggard for having us, and supporting our work – it was really great!! 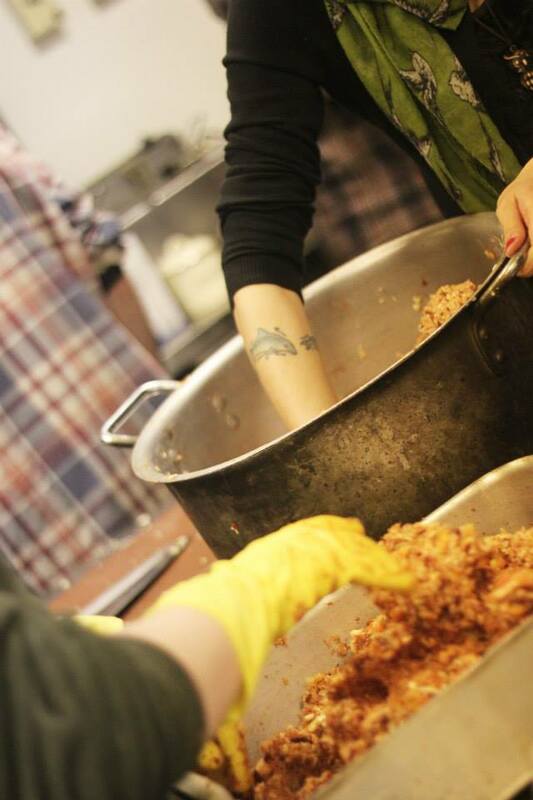 This week, as well as our weekly serve, we are also hosting a Food Not Bombs Cafe at the Cardiff Anarchist Bookfair this Saturday (21st of February). The event is at Cathays Community Centre from 10am-5pm and will host a wide range of stalls. 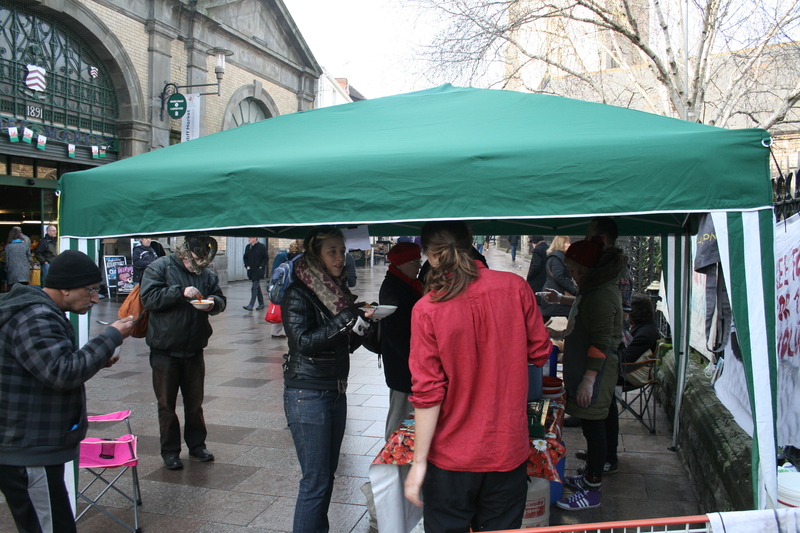 We will be providing a range of different foods, for free and affordable prices! 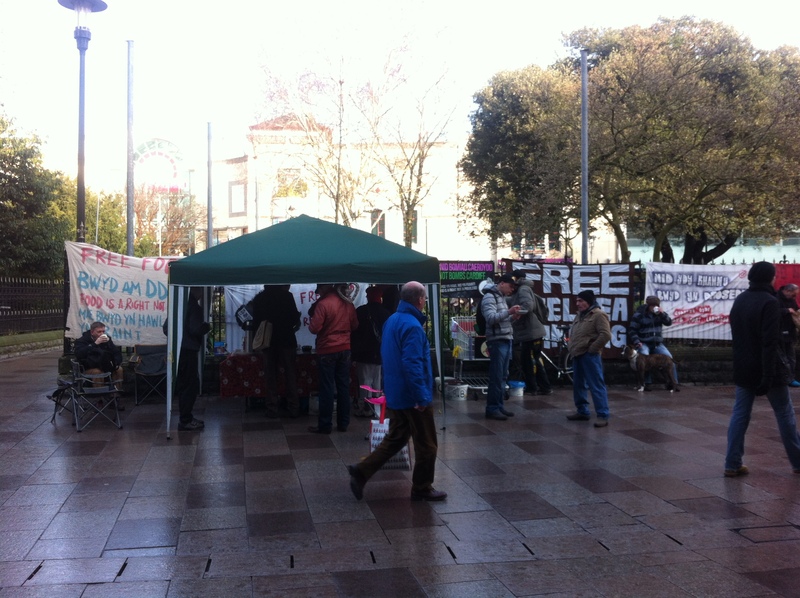 All the money we raise will go to Food Not Bombs Cardiff and to anti-militarist activists legal fees! Drinks will include various teas, Zapatista coffees (including soya cappuccinos), juice and squash. All food will be vegan, we will also have gluten free options. 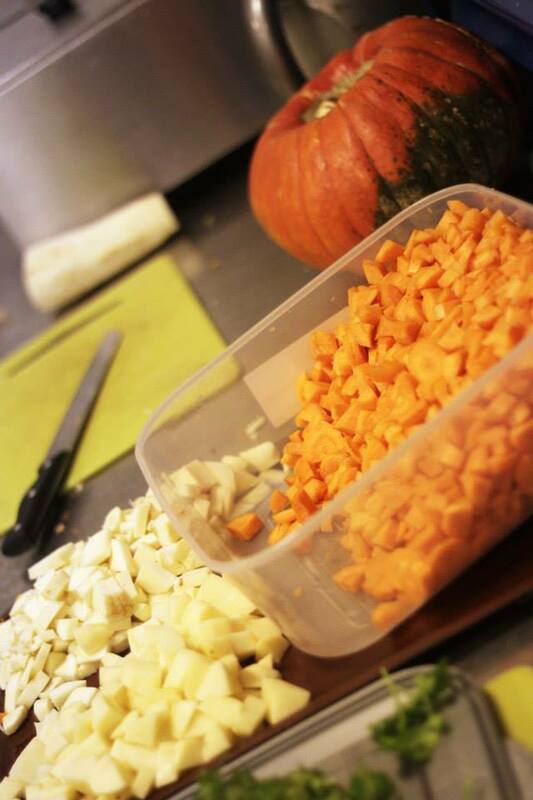 If you have any other dietary requirements please let us know ASAP so we can ensure there is an option for you. 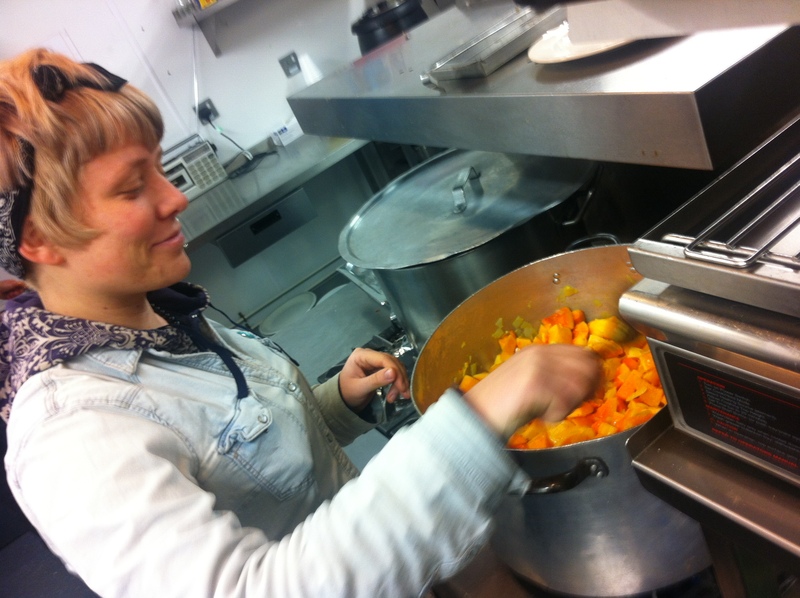 Here are some photos from today’s cook at the Wyndham Diner, taken by our friend Louiza from Food Not Bombs Southampton! 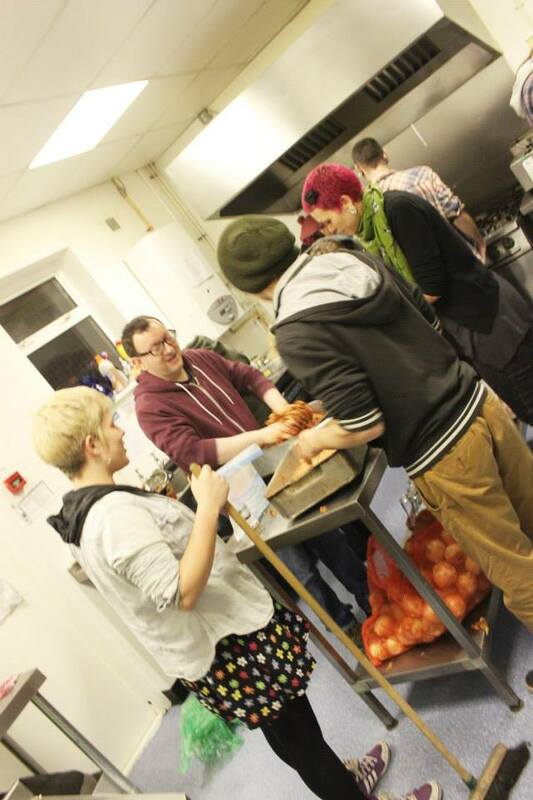 A group from Southampton are here to help us over the weekend with our busy schedule of feeding!! 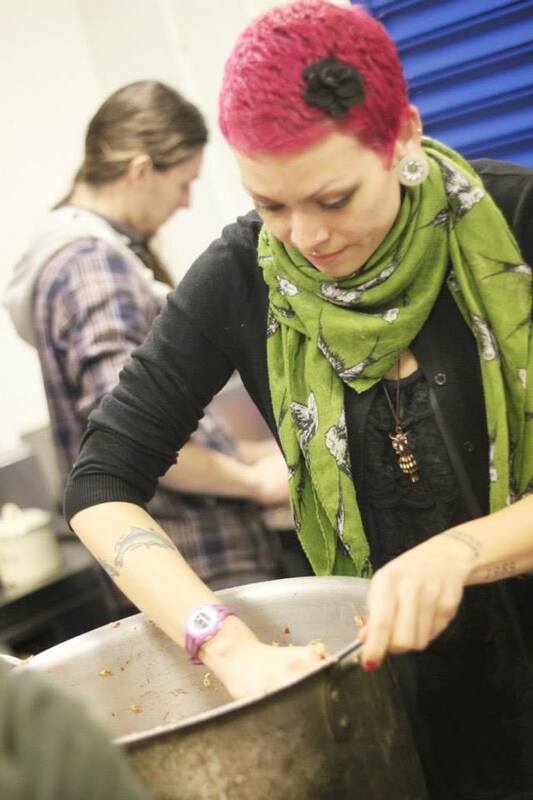 They will also be doing a Food Not Bombs talk at the Anarchist Bookfair on Saturday afternoon! There’s nothing better than a bit of ginger in the middle of winter, as it provides a number of health benefits. 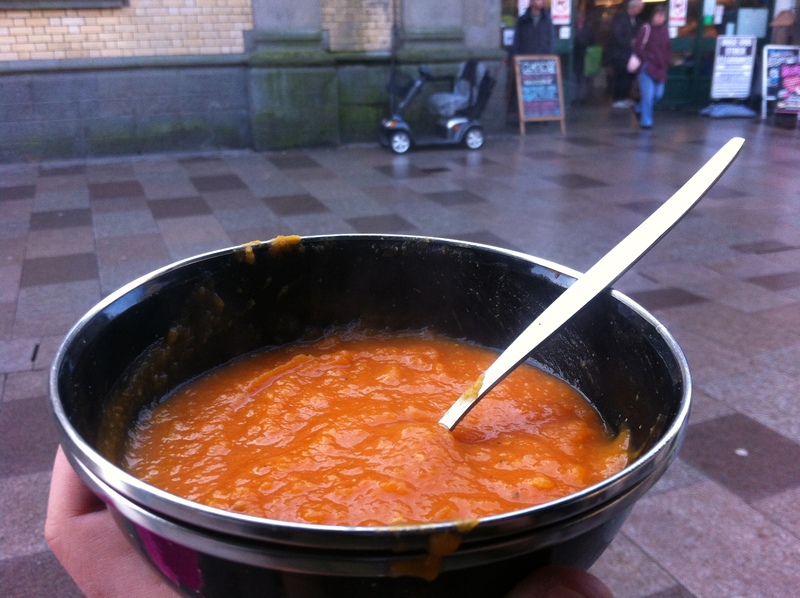 This week we decided to make a Butternut Squash & Ginger Soup, as we had been donated some Butternut Squash and found some more for very cheap (3 for £1) in a local veg shop in Canton. 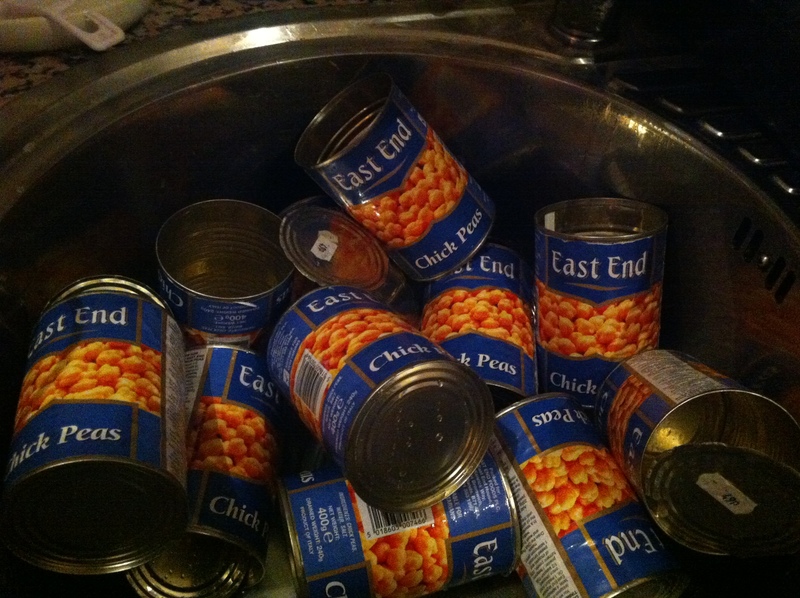 This was a very cheap recipe to make, and we made 40 servings for under £10. The recipe was taken from Sarah Kramer’s La Dolce Vegan recipe book, which is a great resource of amazing vegan recipes. 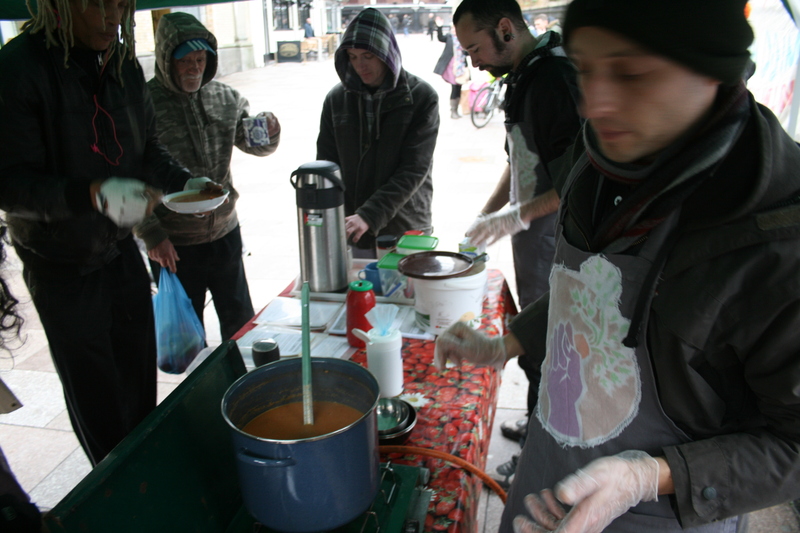 The soup was well received on the streets, and it’s great to see new faces coming to Food Not Bombs and talking to us about current issues. We are inviting people who come to our weekly street serves, to attend the Cardiff Anarchist Bookfair which takes places Saturday February 21st in Cathays Community Centre. 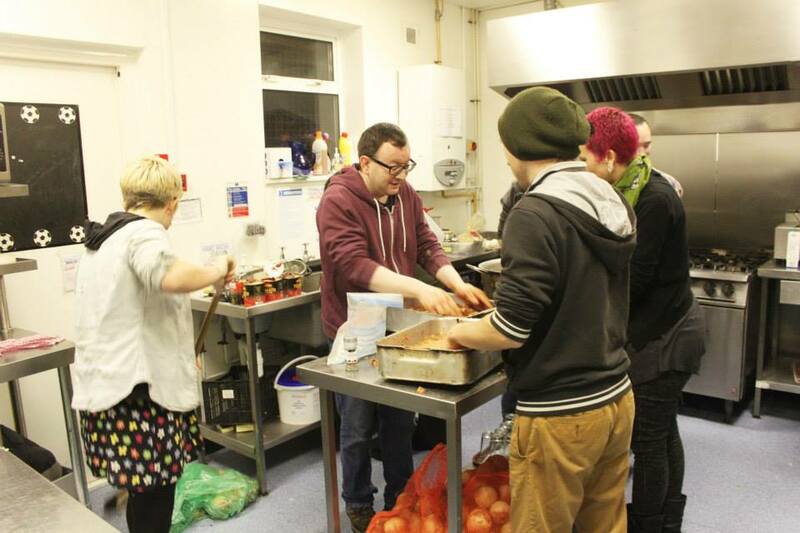 Food Not Bombs Cardiff will be providing food at this event, and we’re excited about the first anarchist bookfair in 5 years! 20 inches fresh ginger, grated. In a big saucepan, on medium heat, saute the onion in oil until translucent. Add the ginger and squash and saute for 10 minutes, or until a bit soft. Add the stock, tomatoes, lentils, salt and pepper. Bring to boil, then reduce heat. Simmer until vegetables are soft. 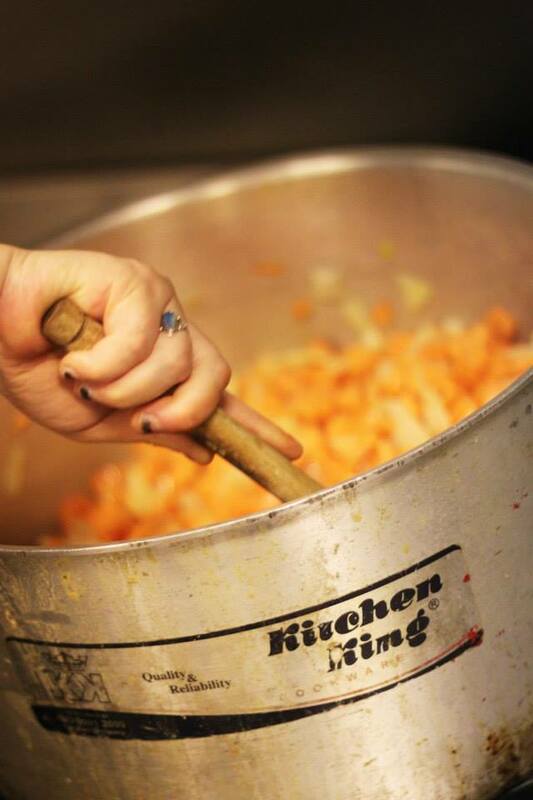 With a hand blender, blend the soup until smooth (be careful when blending hot liquids). Reheat and serve. Makes around 40 servings. 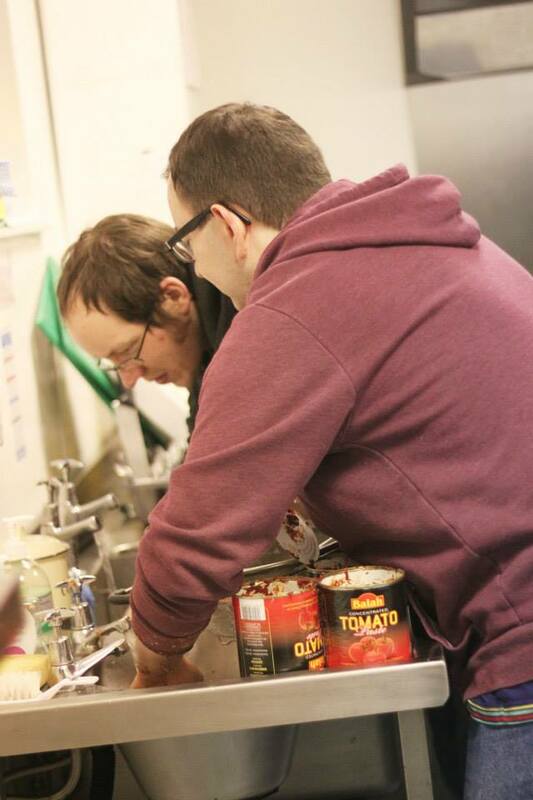 This week, we are proud to announce we’ve moved to a new kitchen at The Huggard Centre, who are very supportive of our work. 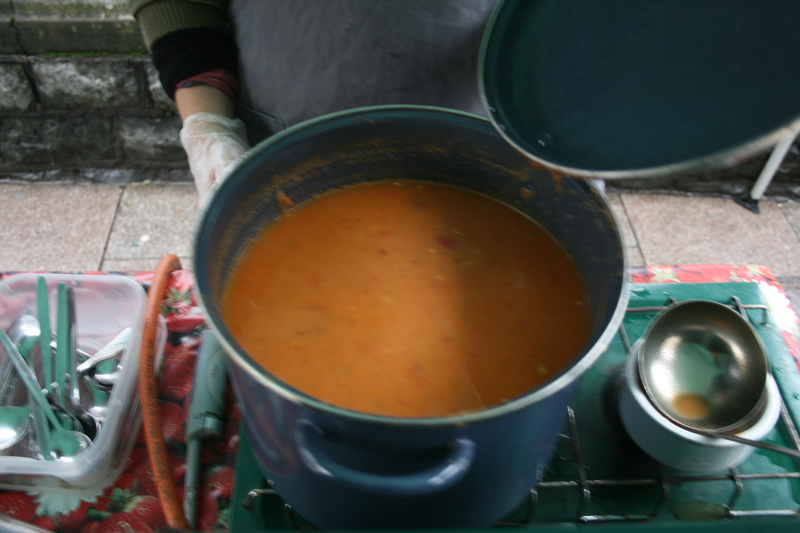 We cooked this Spicy Creamy Tomato Soup which came from the excellent How It All Vegan cookbook. If you would like to make this easy and very delicious soup the recipe is below. This makes 4-6 servings. 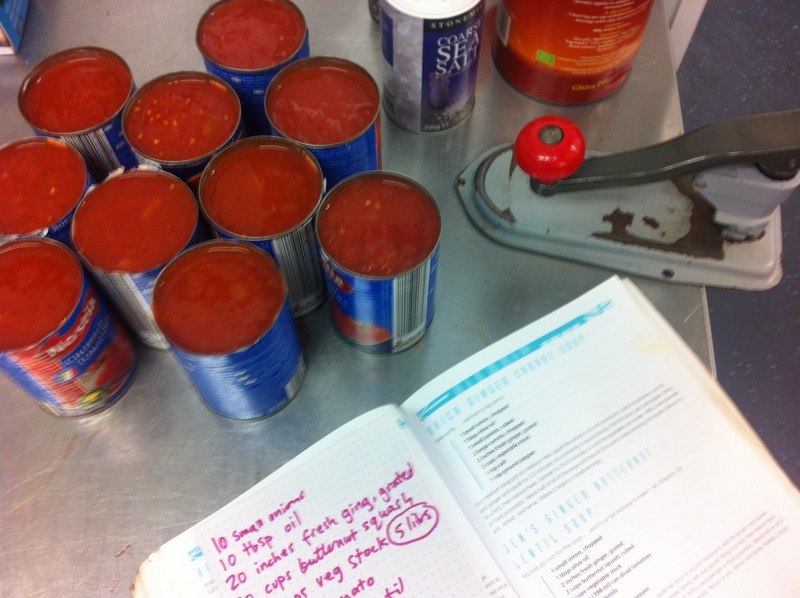 We multiplied the ingredients by 8 for our serve. 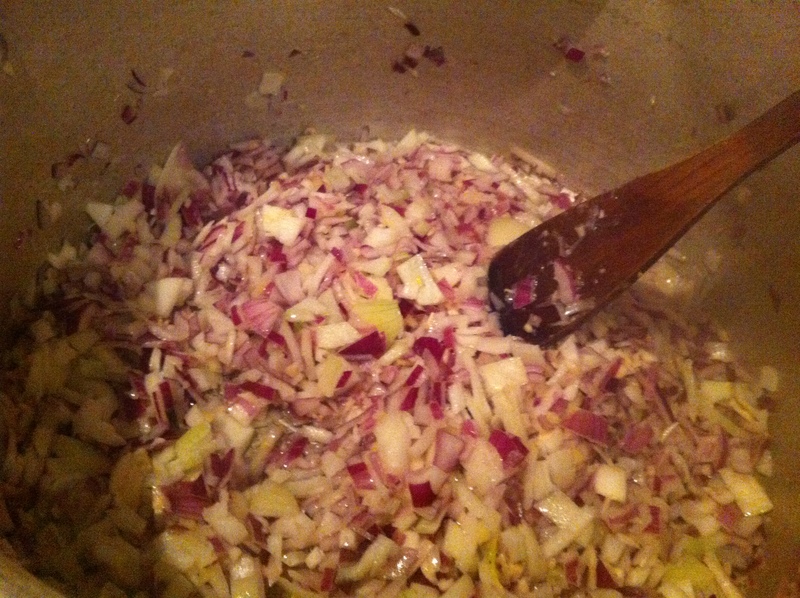 In a large saucepan, sauté the onions, garlic, salt, dill and pepper in oil on medium heat until onions are translucent. Add the tomatoes, stock and sweetener. Cover and simmer over low heat for 20 minutes. In a blender or food processor, blend milk and 350ml of broth until smooth. Add to soup pot and stir in fresh diced tomatoes. 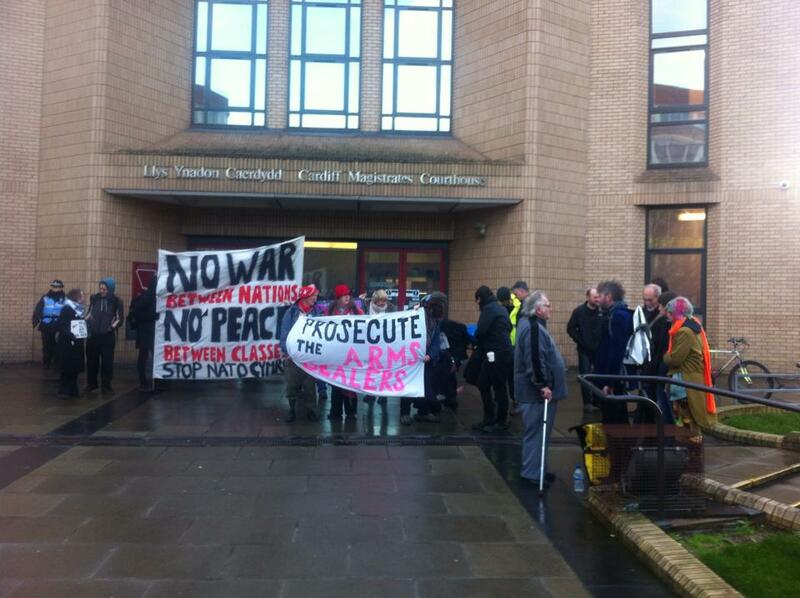 Food Not Bombs at Cardiff Magistrates Court, supporting anti-war activists – CASE DROPPED! NOW PROSECUTE THE ARMS DEALERS! Food Not Bombs served a delicious vegan breakfast on the day of the Arms Fair, and were there today to show support for the activists in court. 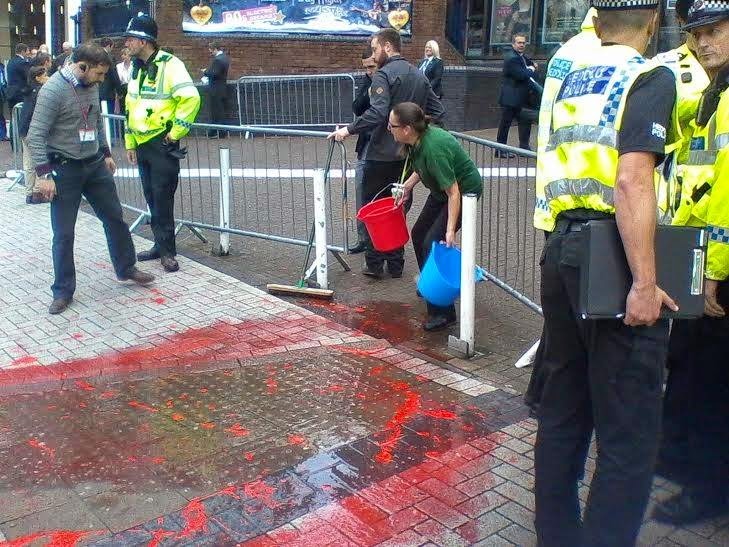 All charges were dropped, after the Crown Prosecution Service failed to produce any relevant evidence, and no witnesses. Once again plenty of public money and time wasted, but a small victory for the Stop the Arms Trade Campaign. Unfortunately, DPRTE Arms Dealers are now hosting their event annually in Cardiff Motorpoint Arena, so the campaign is far from over. Fe’m gwahoddwyd gan y BBC i ‘sgwennu erthygl i BBC Cymru Fyw ac i fod yn westai ar sioe Post Cyntaf BBC Radio Cymru ar Ionawr yr 2il. Roeddem yn trafod ein gwaith, amcanion Bwyd Nid Bomiau a thlodi adeg y Nadolig. Gallwch wrando eto ar y cyfweliad ar iPlayer yma, o 01:39:35 ymlaen (am 4 wythnos yn unig) ac fe allwch ddarllen yr erthygl Cymru Fyw yma. 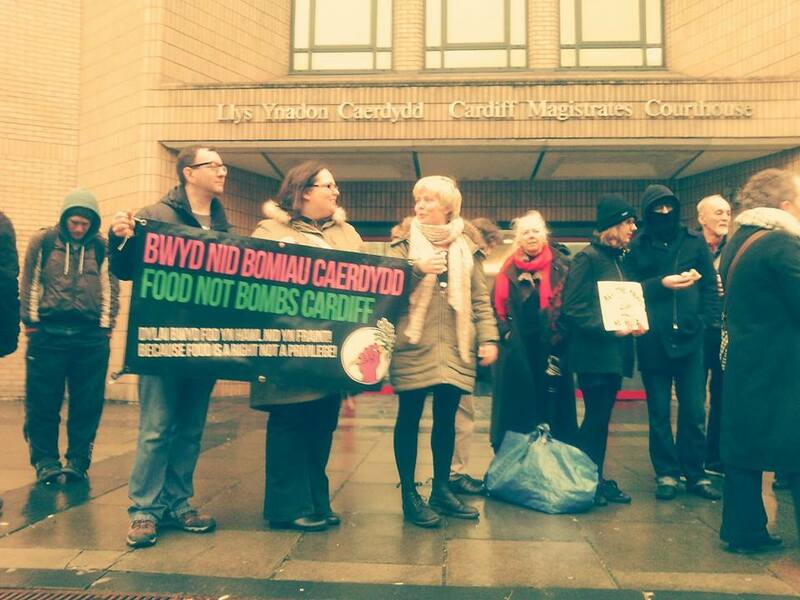 Food Not Bombs Cardiff were invited to write an article, and as guests on a current affairs programme on BBC Radio Cymru to talk about our work, our aims and poverty at Christmas. 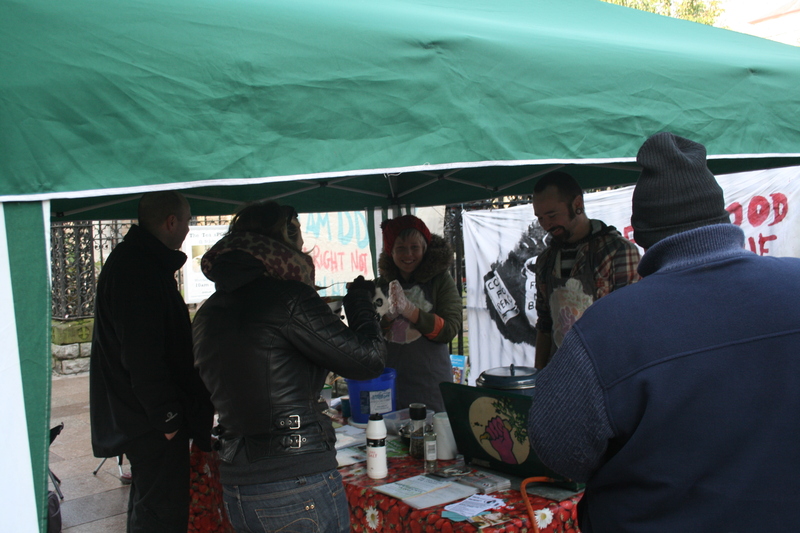 Well, it’s a start of a new year – and as we here at Food Not Bombs Cardiff realised we haven’t been very good at keeping our website up to date, this is our new start! 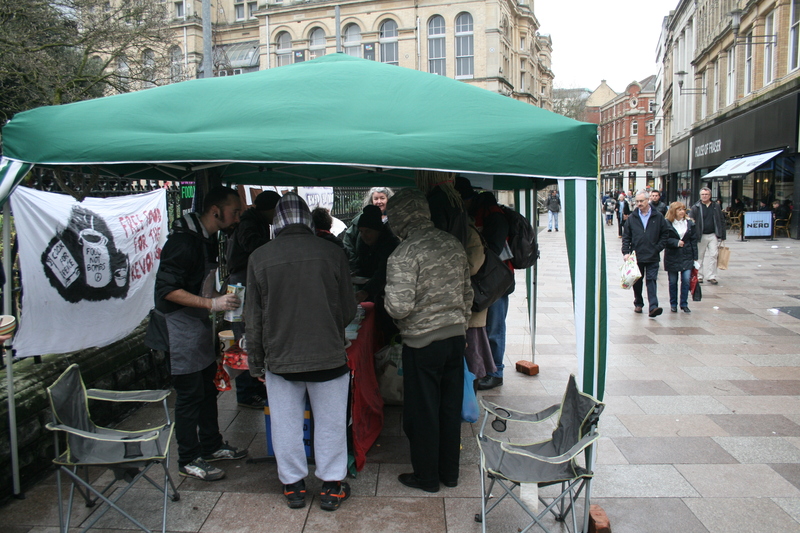 From now on this website will be kept up to date with events we are involved with, or organising; our weekly recipes which we serve on the streets; photos of our group, as well as stories and relevant posts about anti-poverty and anti-war events in Cardiff. 2.5cm piece fresh root ginger, peeled and grated. 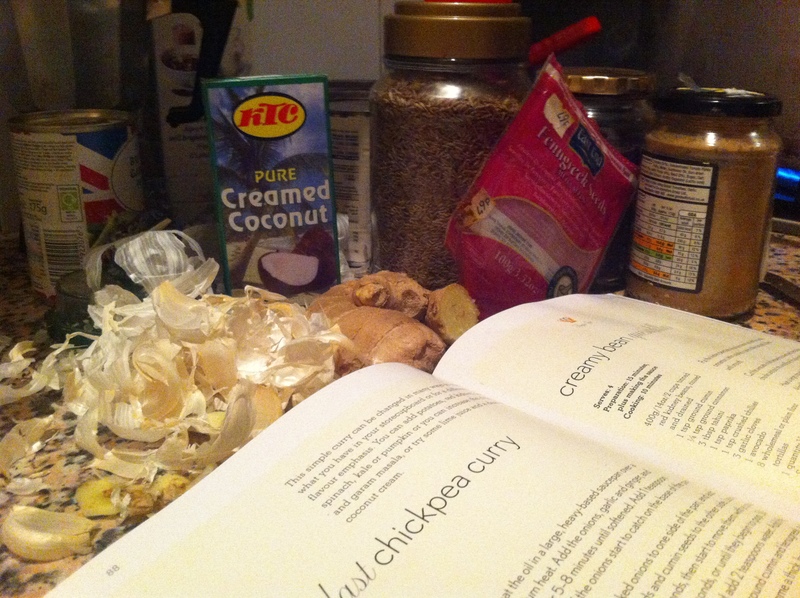 The recipe book states; “This simple curry can be changed in many ways to suit what you have in your storecupboard or for a different flavour emphasis. You can add potatoes, red kidney beans, spinach, kale or pumpkin, or you can increase the chilli and garam masala, or try some lime juice and a dash of coconut cream” – As we had a donation of potatoes which needed using, we added potatoes, and also decided to flavour with coconut cream because we often find that people on the streets prefer milder-tasting food. Heat the oil in a large, heavy-based saucepan over a medium heat. Add the onions, garlic and ginger, and cook for 5-8 minutes until softened. Move the cooked onions to one side of the pan, and add the mustard seeds and cumin seeds to the other side. Leave them for a few seconds, then start to move them with a spoon and stir-fry for 30 seconds, or until they begin to pop. Stir them into the onions and add 10 teaspoons of water. 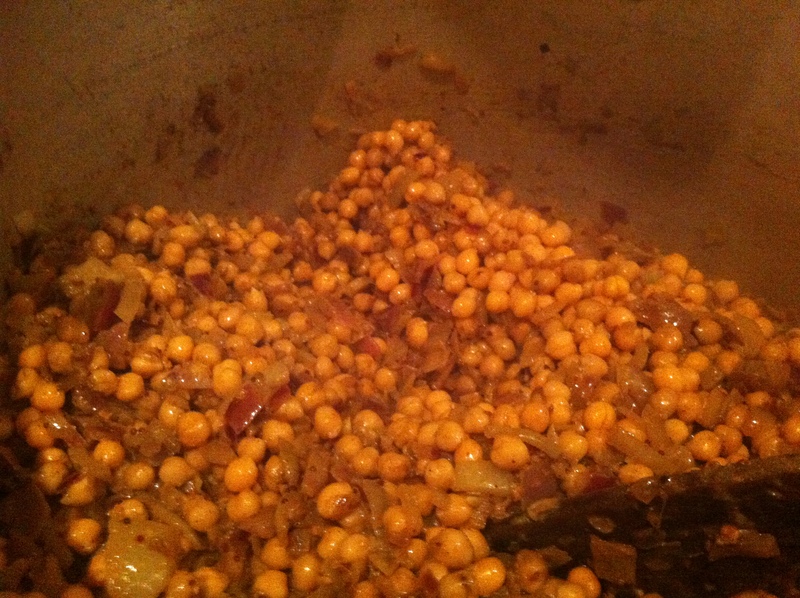 Add the garam masala, turmeric, ground cumin and fenugreek, and stir well. 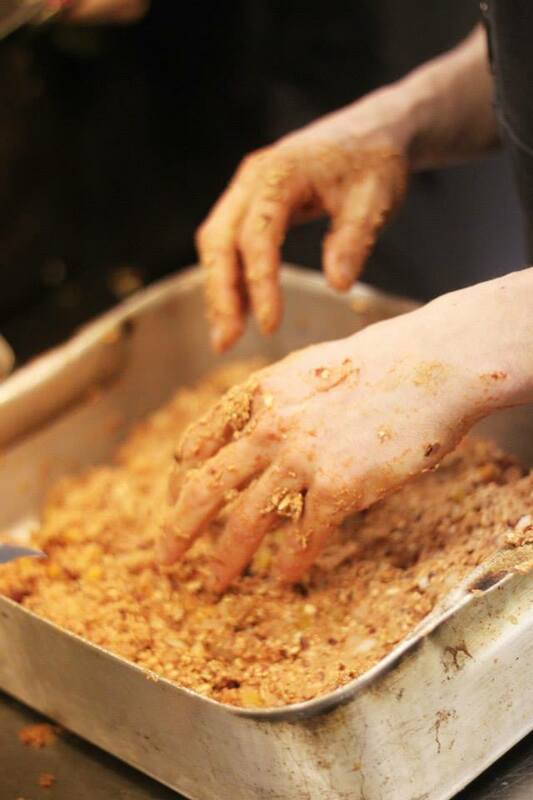 The mixture will become a thick, brown paste. 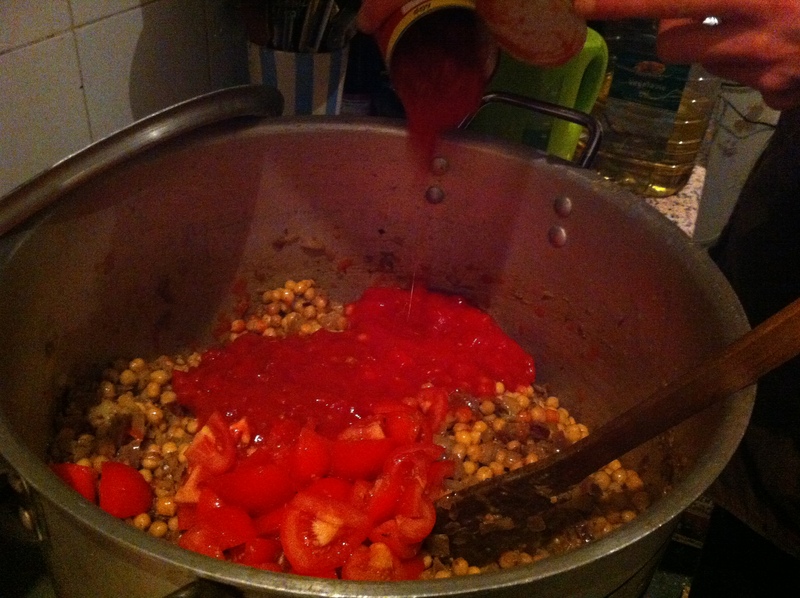 Add the tinned and fresh tomatoes, the chickpeas, potatoes and 2.5 Litres of water. 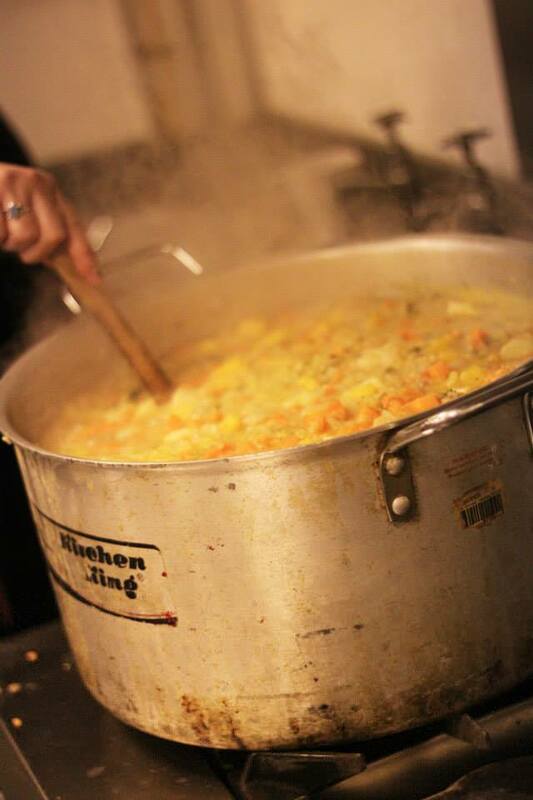 Stir well and bring to the boil, then reduce the heat and simmer over a medium-high heat for 15-30 minutes. Season with salt and add crushed chillies and coconut cream. 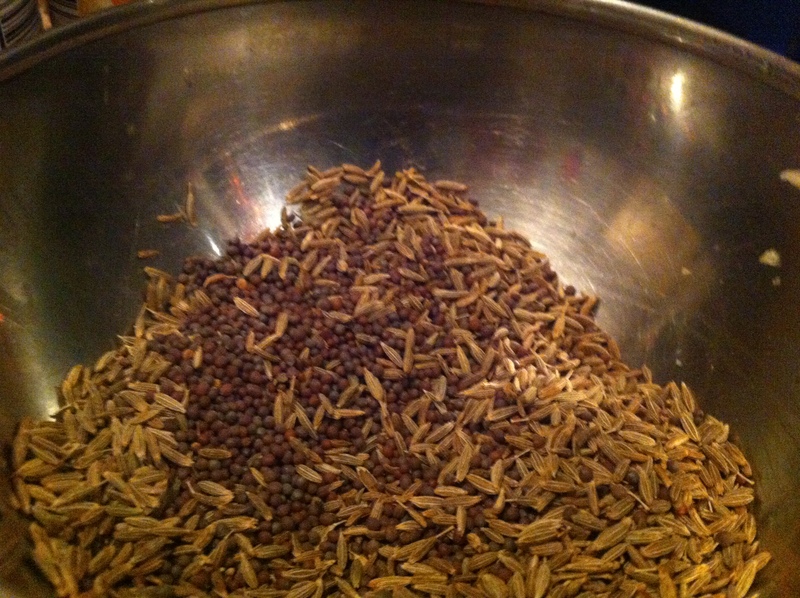 Scatter over the coriander and serve with rice. Yummy! 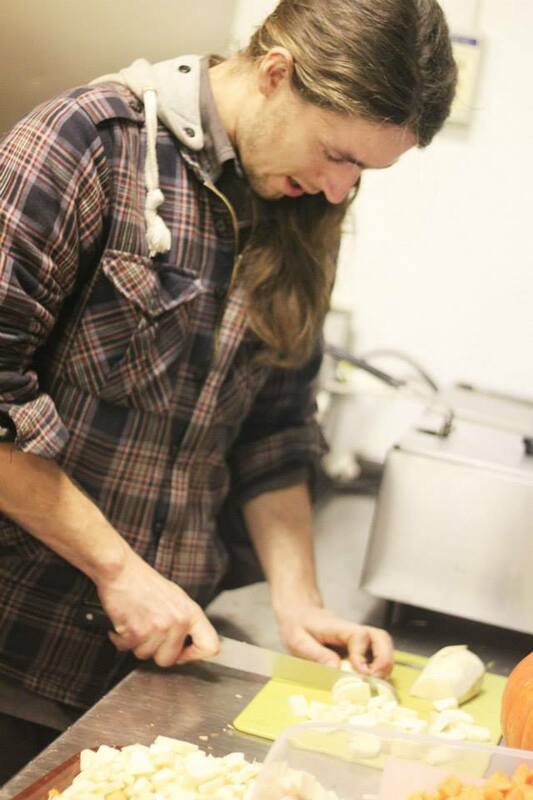 We would like to thank Miles and Waffle Cafe for their generous Christmas donation of £50 to Food Not Bombs Cardiff, which went towards making this meal, with plenty leftover for next week too. 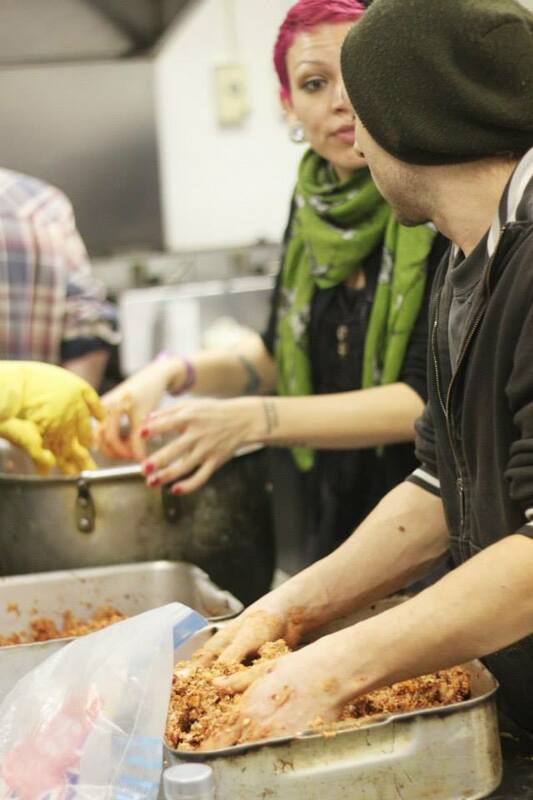 At Food Not Bombs, your donations go a long way.